Broadly speaking, the hospitality industry can be categorised into three spheres namely: ‘Food and Beverage’, ‘Accommodations’, and ‘Travel and Tourism’. By it’s very definition, the hospitality industry is all about the business of customer service and gracious entertainment. This is carried out through the main three aforementioned arteries of the industry. Read on to get a brief understanding of the three wings of hospitality if you’re keen on signing up for hospitality management courses –or simply for a better understanding of the world of hospitality! Since times immemorial, the word hospitality has been associated with food and beverage. And so, the food and beverage industry forms the crux of the hospitality industry –be it a small food truck or a 5-star restaurant. A spectrum of services comes under this section of the industry. Moreover, it can also go hand in hand with other spheres of hospitality. Training from hospitality management courses can equip one to enter the food and beverage industry, and cater (literally and metaphorically) to impeccable customer service. Yet another integral aspect of hospitality is that of accommodation. Whether it’s a chain of 5-star hotels, a bed and breakfast, luxury resorts, or simple old motels, accommodation is at the heart of all hospitality. 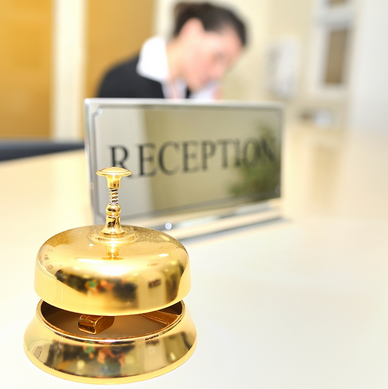 Efficient, prompt, thoughtful and attentive customer care forms the basis of all hospitality. You may attend a hotel management college to learn the various aspects of the management of such establishments and enter the field of hotel management. While food and beverage and accommodation form important segments of the hospitality industry, that’s not all there is to it. When it comes to travel and tourism, transportation plays a key role. From taxis to airplanes, trains and ships –transportation is essential to enable and propagate tourism, thereby earning a central role in the hospitality industry.